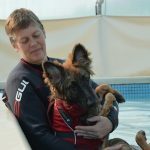 Angela opened Greyfriars in 2001 and has developed the range of treatments available at Greyfriars to include inpatient care, physiotherapy, hydrotherapy in the pool and water treadmill and functional rehabilitation. 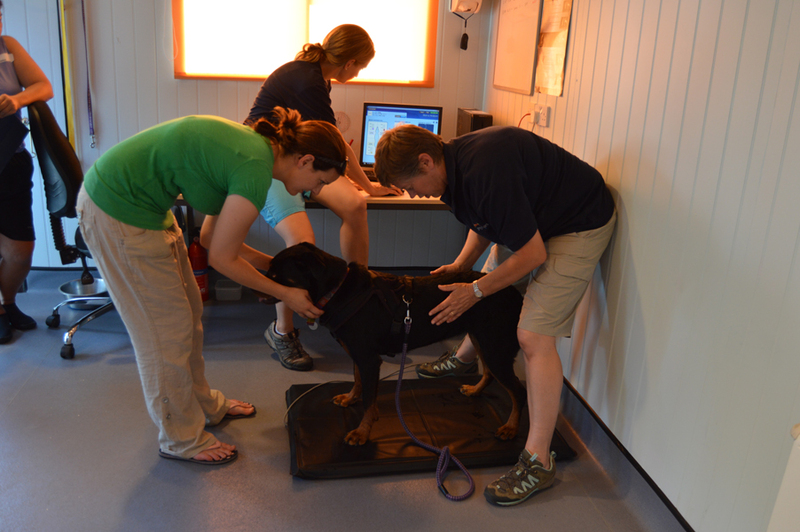 Angela qualified as a CCRP having completed the Certified Canine Rehabilitation Practitioner course at the University of Tennessee, College of Veterinary Medicine in 2005. 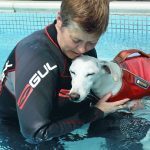 Angela has developed a team of superb care professionals and lecturers at Greyfriars. She regularly gives lectures herself, in the UK and overseas, and has appeared in television and radio programs. Angela was determined to provide first class care for patients and in 2006 opened the inpatient unit which provides 24 hour intensive rehabilitation care, specialising in spinal injury and trauma cases. 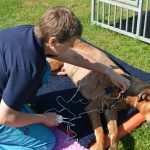 In 2012 Angela achieved her goal of Greyfriars becoming a registered veterinary centre so that inpatients requiring a higher level of veterinary care and pain management can be accommodated. 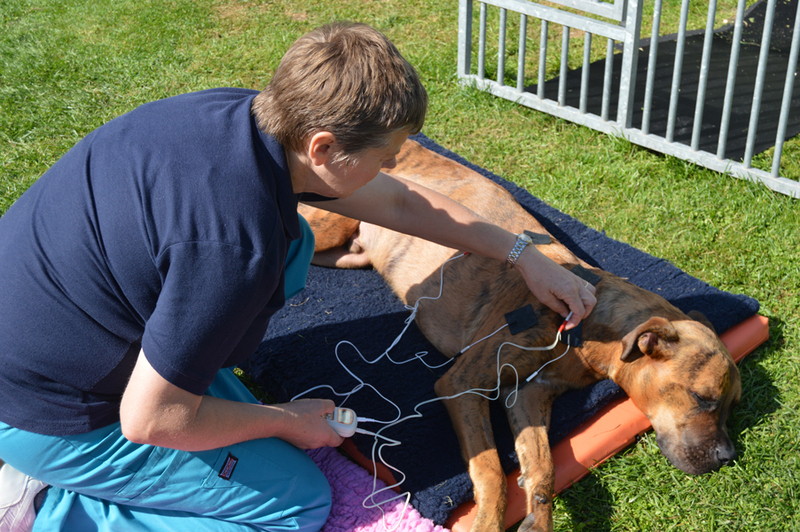 Greyfriars has always been welcoming to veterinary professionals and hydrotherapists wishing to develop their skills. She believes that training should be academically challenging, hands-on and exciting – so that all students can feel a real sense of achievement on completion of their studies and leave Greyfriars understanding our high standards of ethics, professionalism and care. 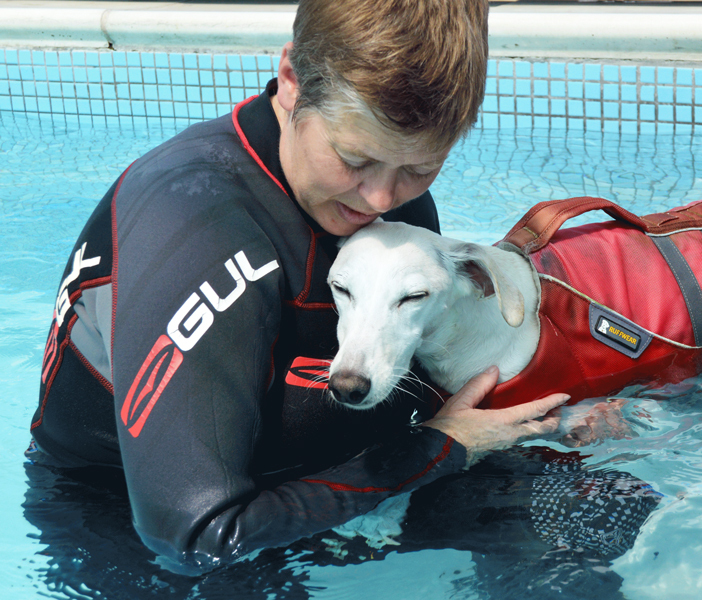 Greyfriars is now an accredited international centre for hydrotherapy training with world class training facilities. 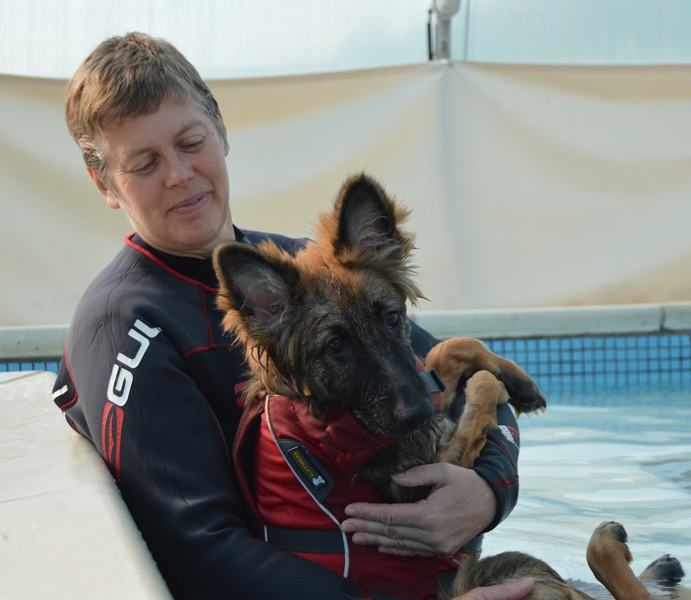 Angela has two rescue dogs, Buffy the Golden Retriever and Poppy the German Shepherd Dog. As well as spending time with her dogs she enjoys travel, photography, skiing, dog sledding, good food and wine.